Don Chisum (left) and Janice Mueller (right) at the United States Patent and Trademark Office. I’ve known Janice Mueller for a number of years dating back to when she was a full time Professor of Law. Mueller wrote, in my opinion, one of the best summaries of patent law and I recommended it to my patent law students, as well as new practitioners, inventors and entrepreneurs. She has now left full time teaching, but she has not left patent scholarship behind. She is now the author of a patent treatise and she co-teaches in the Chisum Academy with Donald Chisum, who everyone in the patent world knows from his definitive encyclopedia of patent law titled simple Chisum on Patents. Recently Mueller wrote to me to let me know about the upcoming Advanced Patent Law Seminar that the Chisum Academy will host in Cincinnati from March 5, 2013 through March 7, 2013. I floated the idea of doing an on the record conversation with her and Don Chisum, which they both accepted. In this two-part conversation we discuss everything patents, from patent reform legislation, to patent litigation abuse, to how the Supreme Court and Federal Circuit are handling patent matters and much more. Without further ado, here is my conversation with these two preeminent patent scholars. QUINN: Thanks, Janice and Don, for taking the time to chat with me. It’s always a pleasure to talk to you. Perhaps we can just jump into things. The two biggest issues facing the patent community are probably what, if anything, Congress is going to do with respect to patent reform. The other issue is the Supreme Court—are they going to kill software patents or come to the rescue in CLS Bank? Let’s just pick one and go. The other big area for potentially improving litigation is the fact that the Supreme Court has granted certiorari in the Highmark and the Icon cases, which deal with the standards for deeming a case exceptional and awarding attorney fees to a prevailing party. Depending on how the Court comes out on these issues of exceptional case as well as patent claim interpretation, I’m unsure of the extent to which these legislative proposals, if implemented, will have a meaningful impact. CHISUM: I’m very skeptical when Congress starts talking about reform. 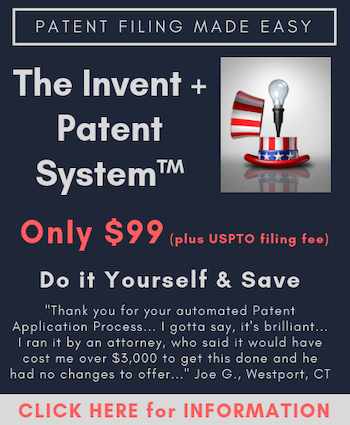 I don’t think there is enough sophistication in Congress and among committee staff members about how the patent system really operates and about the challenges the many thousands of people operating the system face. Most of the legislative efforts I’ve seen over the last 30 years to reform the patent system, in fact, reformed very little. The “reforms” have tended to respond to particular interest groups, to particular complainants. Congress has tended to respond only to a consensus that something was wrong rather than thinking outside the box as to what will really improve the efficiency and predictability of the patent system. The two issues Janice mentioned are extremely important. We know claim construction is so central to the whole patent system. The Federal Circuit has just not given us a consistent voice on that even though that court was created to bring greater uniformity. Currently, the judges in the Federal Circuit, including the recently appointed ones, are doing some soul searching about that. On the problem of abusive patent litigation–whether you want to call it “trolls” or use other terminology– steps need to be taken. The courts are usually in the best position to do that. I see in the Federal Circuit decisions, even in the last two or three years, that some of the judges are beginning to wake up to the problem. The problem centers on truly frivolous claim construction positions to support infringement suits. The courts have not consistently used the sanctions that they currently have to deter that kind of behavior. So it’s all well and good if Congress says: we need to do something about this. They’re politicians, so they get complaints from small businesses and others. They want to be able to say back to their constituents, yes, we enacted bill number such and such. But oftentimes, in practical effect, the actual legislation does not effectively address the real problem or it creates new problems. On the other hand, I am fairly hopeful the Supreme Court will give us a new look at the legal standards for awarding attorneys’ fees in exceptional cases. I think the Federal Circuit itself has in recent years created some unfortunately high hurdles to showing that a case was unjustifiable, hurdles that did not exist previously. QUINN: You know, I agree with everything that you’re saying. It seems to me that when Congress gets involved they get up on a soapbox and they say how the offered changes are going to make the patent system so much better. Really what they do is simply rearrange the chairs on the deck. There are so many things that Congress could do that would make the system better, but they just don’t have the depth of understanding to enact changes that will really improve the system. A very cynical view is that the people who are lobbying just don’t have an interest in really making the system better; they’re just trying to get their own things into the bills. It’s been really frustrating watching it as it goes through. One of the things that has been very frustrating for me is the proposed change to the estoppel provisions, for example, with respect to post grant procedures. It seems like this “reform” is going to create serial challenges against patents. SO that leads me to question at what point in time do you actually have a patent right instead of a prospective right? CHISUM: Well, I agree with that. We keep coming back to those claims and claim construction. And that’s a potential huge weakness in the new post grant review procedures. How will the PTO interpret claims and how do the Office’s standards for claim interpretation relate to what the courts are doing when interpreting, oftentimes, the same claims? Over and over again I see, in the reported cases that I have to so carefully analyze, instances in which PTO operates too slowly and interprets claims in an unclear or dubious fashion in the older inter partes reexaminations. A concern is that it will also do that with the new post grant and inter partes review procedures. Meanwhile the courts are either operating faster or with more information. It’s not super encouraging, I agree. But it’s not beyond repair, either. We’ve had some new thinking at both the PTO and among the courts about the need for greater efficiency and predictability than the level we’ve been getting over the last ten years. QUINN: Where do you think we go from here? I’m glad to hear that you are optimistic and that you think that there is a path forward that makes sense. Maybe I get too close to these issues and I get too worked up over them, but I don’t know what that path forward looks like. It seems to me, and I’ll throw this out and let you comment on this – we’ve gotten into a place where the litigation is over once the patentee loses. So the patentee can win all the way up the chain and as soon as the patentee gets an unfavorable decision, okay, well, now it’s over. It seems to me that we’ve got this system set up in a way that it almost seems to encourage multiple challenges in multiple different forums with multiple different decisions, interpretations, and outcomes. I’m not necessarily trying to say that we should have a predetermined outcome where the patentee always wins. I’m thinking of some of these cases that I’m seeing lately where the patentee wins at the Patent Office, wins several times on reexamination, and wins in the district courts multiple times. Then the Federal Circuit overturns the decision, which is inconsistent with every other decision maker that has looked at the patent claims. I think the patent needs to be a property right. If this was what was going on in the real property world, nobody would own real property. CHISUM: Yes. One analogy would be to the trademark system and the concept of incontestability. Occasionally we have thrown up the idea of having something comparable to that with patents. How do you implement that? I’m not sure. But it’s certainly a possibility. There are weaknesses in the system partly because of the way we define prior art. Often, there’s prior art out there and it does not seem to be uncovered during either the examination or even in initial litigation or in subsequent litigation. Part of that could be cured by a clearer definition of what is prior art. MUELLER: Unfortunately I don’t think the America Invents Act helped clarify that definition. CHISUM: Yes. We create uncertainty because sometimes our patent system, and our legal system in general, seems unwilling to say we just have to have some square corners and clear lines and draw lines instead of searching ultimately for fairness. Defining what’s prior art could be an example of that. Instead of using amorphous standards, such as “what is accessible to the public,” we could have a definition of prior art more carefully limited to information that’s demonstrably accessible through documentary means and the Internet. QUINN: I think there are a lot of ideas out there that could help and could streamline things and improve the system. It’s unfortunate that the broader political discourse doesn’t seem to be pursuing those. So I guess I’m intrigued by your idea about the courts considering these things and maybe coming to some resolution. Let’s run with that. What do you think the Federal Circuit is going to do when they look at claim interpretation again in Lighting Ballast? What do you think the Supreme Court is going to do with these cases that they’ve already accepted, including CLS Bank? Do you think that by the summer, we in the patent community may have some good news? CHISUM: I’m always optimistic. You mentioned CLS Bank. This question of patent eligibility and software patents has been in my wheelhouse for many years, at least in terms of scholarly writing activities. I have criticized what the Supreme Court has done in this area. There are a whole backlog of precedents dating back to the 1972 Benson case, which has been a constant source of confusion. I’m hoping that this time the Supreme Court will be asked and will be convinced to start over again. Don’t just reiterate all the old prior precedents and the “on the one hand this” and “on the other hand that.” I’m hoping the Supreme Court will recognize that they have not given a clear definition of what the heck an “abstract idea” is. I’m hoping the Supreme Court will realize that it should stop talking about “exceptions” to statutes. There shouldn’t be judicial exceptions to Section 101 or any other statute. On the other hand, the Court should recognize that other tools exist to prevent the issuance of patents that are too vague and too broad and not supported by the disclosure. The Supreme Court keeps talking about abstract ideas and preempting areas of inventive activity when we have perfectly good statutory provisions and case law about things like enablement and the scope of claims. The difference between those and all of the nonsense about abstract ideas under Section 101 is that for enablement, we look at the facts and the prior art to determine whether a claim is valid. Is its scope reasonably commensurate with the disclosure and the prior art? We have a huge body of case law precedent on that. MUELLER: Unfortunately, we’re stuck with a number of these Supreme Court precedents going back to Benson, which many patent practitioners see as the root of all evil. I guess I’m a little less optimistic than Don is that the Court is just going to disavow its earlier decisions. But at a minimum, let’s hope they give us a useful, workable definition of what’s an abstract idea. I think Justice Stevens in his dissent in Bilski was right on the mark to criticize the majority for not doing that. QUINN: I think that’s true. “CHISUM: I’m always optimistic. You mentioned CLS Bank. … I’m hoping the Supreme Court will realize that it should stop talking about “exceptions” to statutes. There shouldn’t be judicial exceptions to Section 101 or any other statute. On the other hand, the Court should recognize that other tools exist to prevent the issuance of patents that are too vague and too broad and not supported by the disclosure. Dream on Don. Dream on. MUELLER: Unfortunately, we’re stuck with a number of these Supreme Court precedents going back to Benson, which many patent practitioners see as the root of all evil. I guess I’m a little less optimistic than Don is that the Court is just going to disavow its earlier decisions. I completely agree with Janice (who I’ve known for many years as well), not Don. I’m extremely skeptical that Our Judicial Mount Olympus will do anything in Alice Corp v. CLS Bank International but pour more gasoline on the funeral pyre that they’ve turned our patent system into.